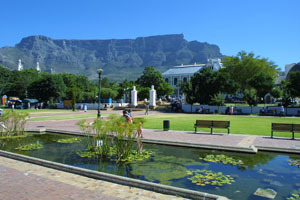 Cape Town, South Africa, is one of the world’s most popular tourist destinations. It has a great climate, a fantastic natural setting and a good infrastructure. As the Victoria & Alfred Waterfront in Cape Town is the most popular tourist spot in South Africa, the site launched with the all heritage sites and famous landmarks in the area. Work on the next phase has already started, all the heritage sites on Robben Island, a World Heritage Site, where Nelson Mandela was a prisoner for many years. The third phase will start with the most famous of the city’s many natural wonders, Table Mountain. The city centre at the foot of the mountain will be mapped, followed by the suburbs of the Atlantic seaboard in the following phases. Cape-Town-Heritage.co.za aims to map all the heritage sites and famous landmarks in the Cape Peninsula.